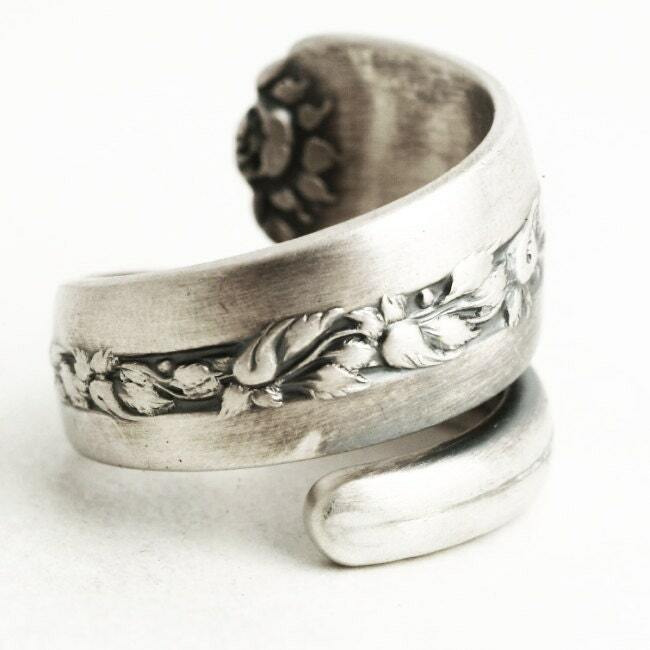 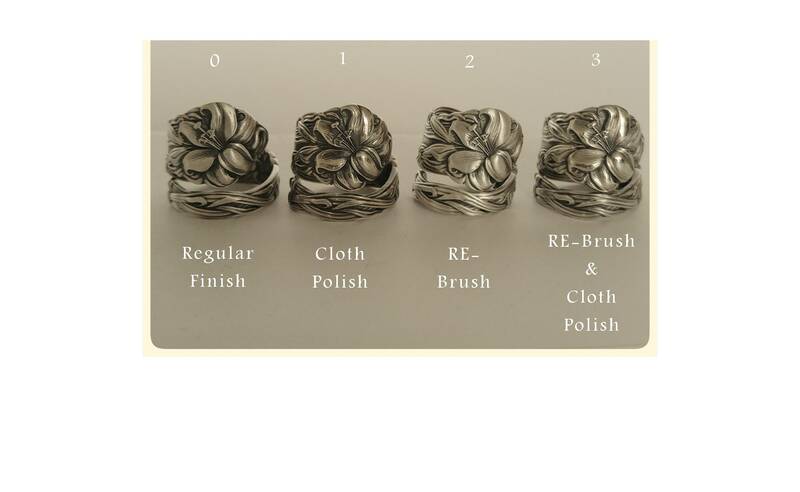 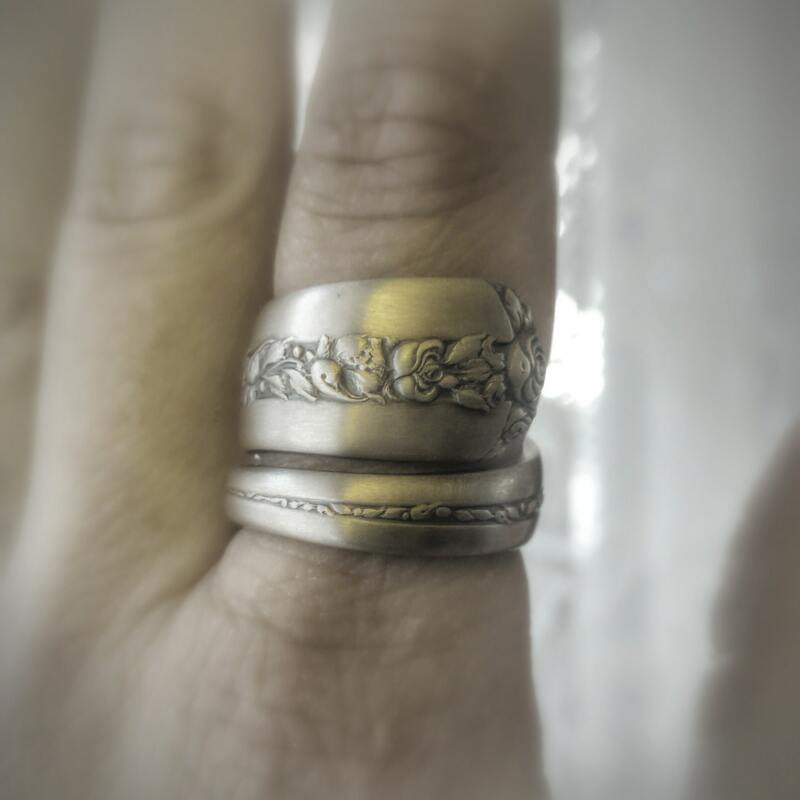 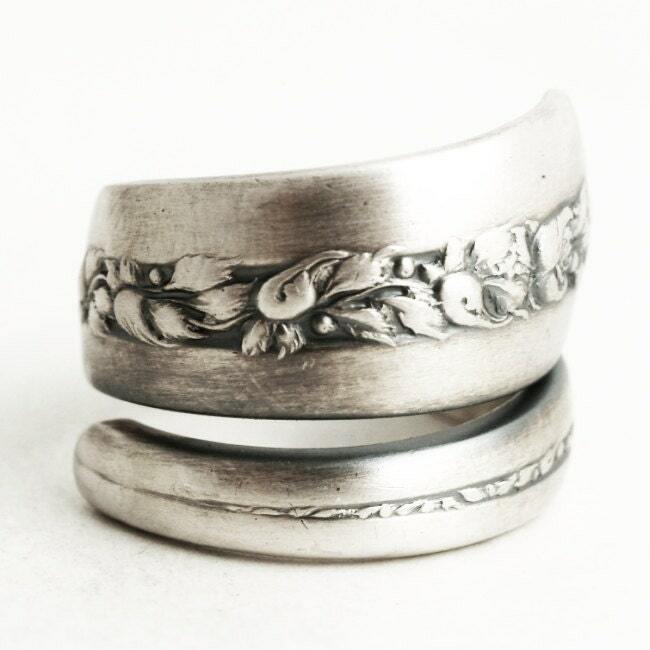 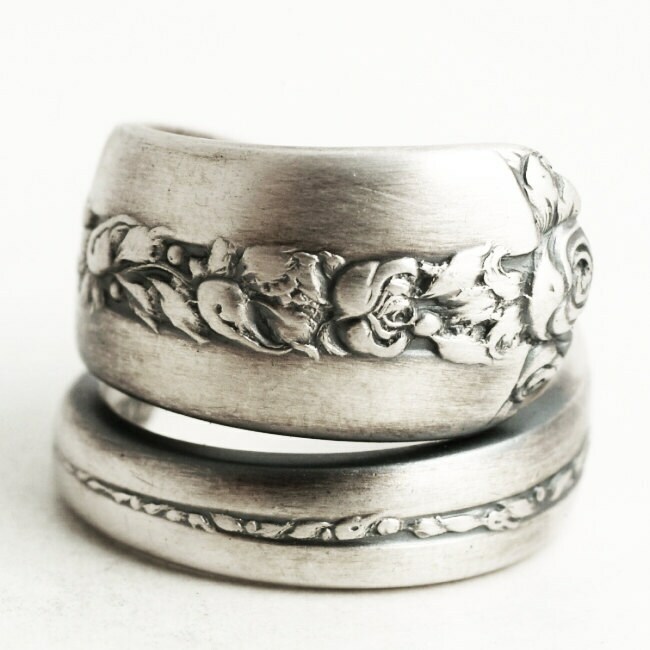 Unique floral pattern sterling silver spoon ring designed by Towle, handmade to your size! 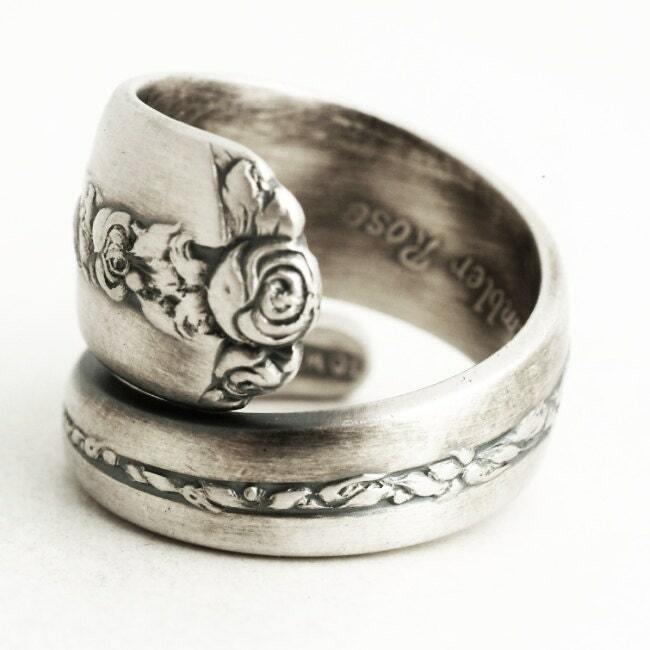 This ring design is intricately crafted with beautiful rosebuds and blosoms on the top of the spoon trailing down with unopened buds and rose leaves that looks like ivy. 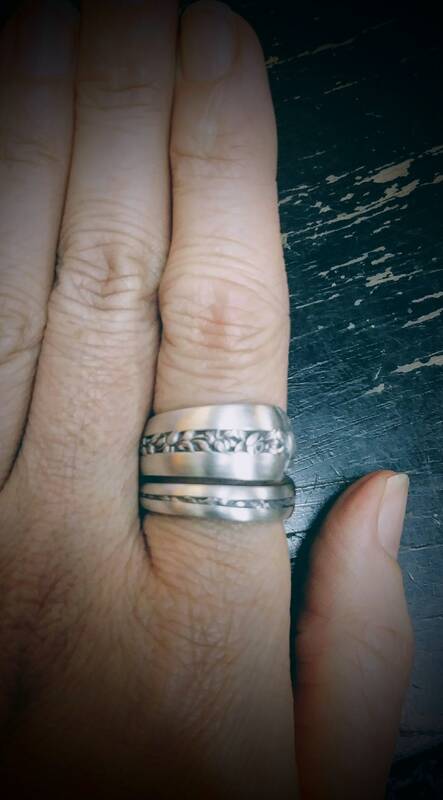 This pattern was made by Towle, and is estimated to have been manufactured around1960's.